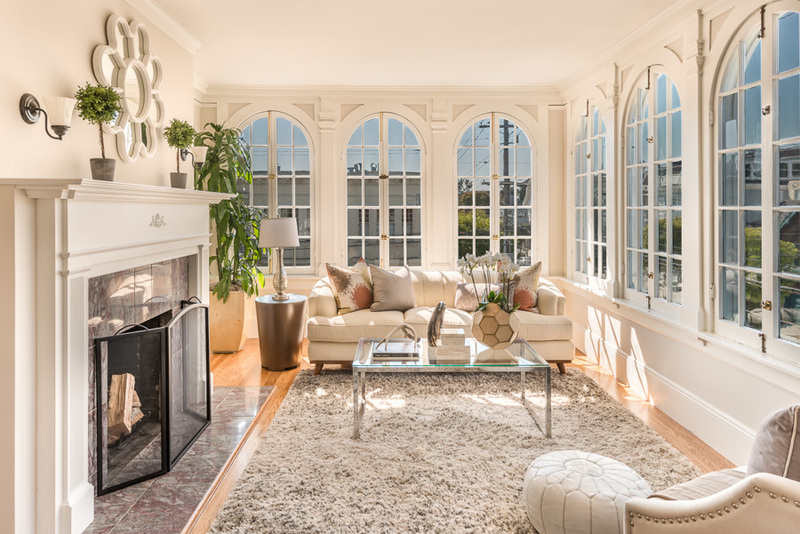 Incredible natural light pours through the beautiful arched windows in this elegant and timeless residence. 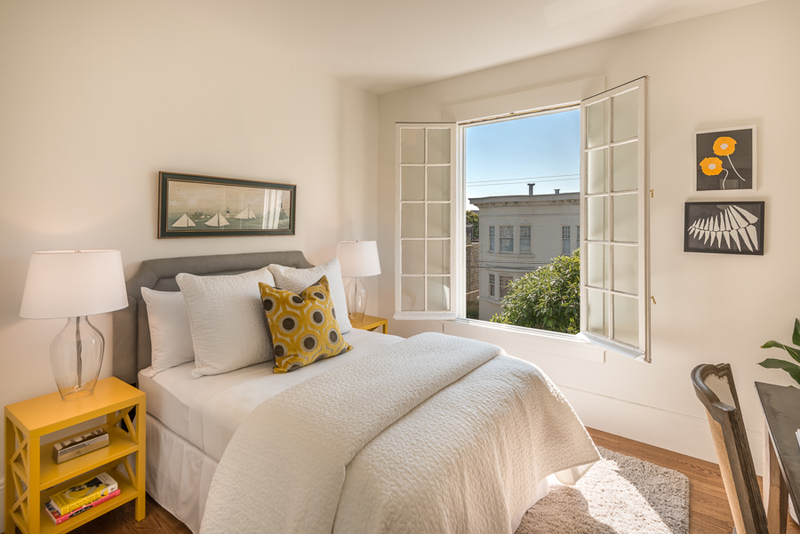 653 Lake St offers three bedrooms, two full baths, and two-car independent parking. 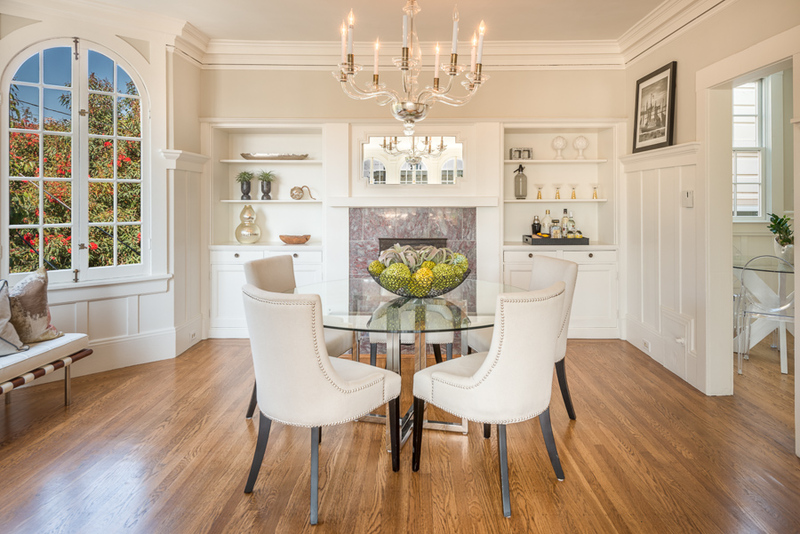 This prominent top floor, two-level corner home is graced with two fireplaces, oak hardwood floors, timeless finishes, and dramatic archways. As you enter the main level foyer, you are greeted with two sets of french doors leading to the living room and dining room. A stately mantle adorns the fireplace, the centerpiece of the living room, and is surrounded by two walls of exquisute arched windows. Adjacent to the living room, through a series of pocket doors, is the formal dining room, which is intelligently appointed with built-in banquets flanking the fireplace and bay windows overlooking the lush greenery below. 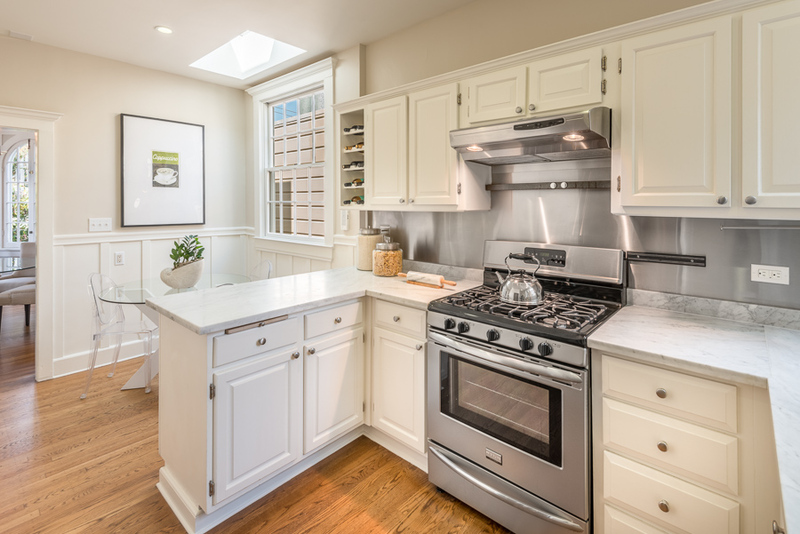 The kitchen has been designed with timless elegance and enjoys an eat-in kitchen area, original built-in cabinetry, stainless steel appliances; including a gas range and white carrera marble counter tops. 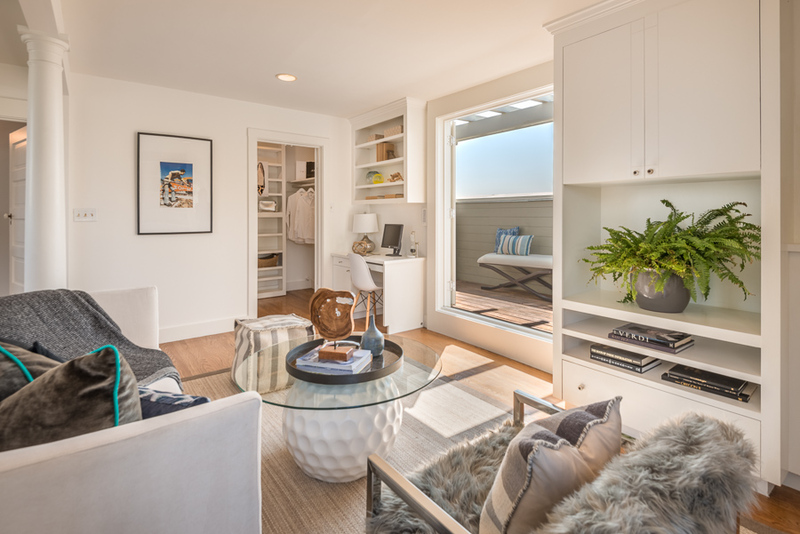 Two bedrooms and a full bath are located along the western edge of the home receiving incredible natural light and have ample closet space. Completing this level is a full bath with a clawfoot tub/shower, white mosaic tiled floors, radiant floor heating, and vanity sink. The pent-level of this charming townhome hosts the master suite with natural light pouring through windows on all three sides. The master bedroom is enveloped by two walls of arched windows and overlooks the tree-lined street below. A timeless bathroom with white mosaic tile floors, radiant floor heating, and glass-enclosed shower is adjacent to the walk-in closet. 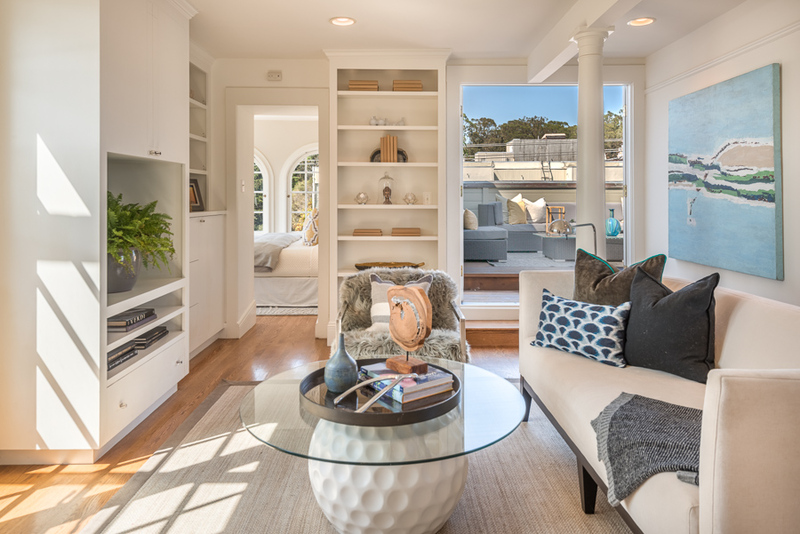 Outside of the bedroom is the family room or lounge with numerous built-ins and direct access to two private outdoor roof decks. 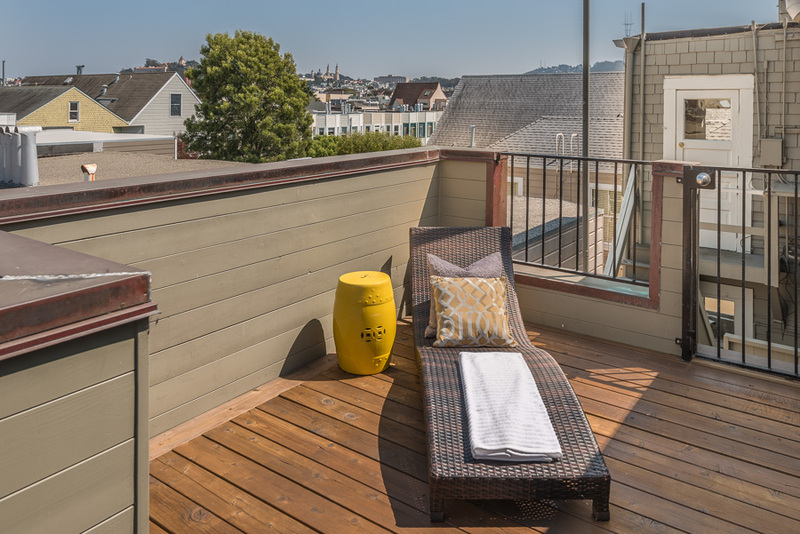 The larger of the two decks is an ideal place to entertain given the privacy, outlooks to St. Ignatius and USF, and is protected from the west exposure. 653 Lake Street lives very much like a single family home with a private entrance from the street and two independent parking spaces in the garage. The home includes additional storage and private laundry, accessed off of the kitchen. Perfectly positioned on the south-east corner of Lake St and 8th Ave, directly across from the entrance to Mountain Lake Park and the Presidio as well as a short walk to the commercial corridors on Clement and in Laurel Village.